His written works include numerous articles and reviews. Stewart has also published three books: Islamic legal Orthodoxy: Twelve Shiite Responses to the Sunni Legal System: Interpreting the Self: Autobiography in the Arabic Literary Tradition: and Law and Education in Islam. On the dusty plain of Karbala’, on the tenth day of Muharram in the year 61 of the Prophet’s hijrah, the Prophet’s grandson, Imam Husain, was killed in battle with forces loyal to the Umayyad Caliph Yazid. Along with Husain, we are told, were 71 followers. Among those killed that day were 17 members of the Prophet’s family, including six half-brothers of Husain, sons of Ali, three nephews, sons of Hasan, four cousins, and two of Husain’s own sons. The bodies of the dead were stripped of their clothes and weapons. Husain’s corpse was decapitated and trampled by the Umayyad’s’ cavalry. His head was taken first to the Umayyad governor of Kufa, Ubayd Allah b. Ziyad, who had it paraded, on a lance, through the tribal quarters of the town. According to one report, Zayd b. Argam heard Husain’s head reciting verses from the Qur’an as the procession passed his house. When Husain’s head was brought before Yazid, he supposedly responded with a triumphal verse of poetry, “We will split the skull of proud men (who come) against us; they were very disobedient and oppressive.” Husain’s surviving son, Zain al-‘Abidin, who had been too ill to fight, was taken in chains, along with the women, to Yazid in Damascus. This battle, as well as the events leading up to it and its aftermath, live on in the memories of millions of Muslims around the world as the greatest tragedy of Islamic history. The terrifying accounts of Karbala’ stress the horror Muslims feel, and have felt for centuries, at the murder not only of a respected Companion of the Prophet, not only of a member of the noble Quraysh tribe, but of the Prophet’s own grandson, whom he had carried and caressed as a child, and had called, along with his brother Hasan, the Lords of the Youth of Heaven! 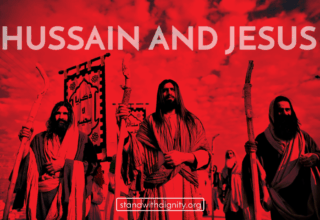 And not only Husain met his death on the plain of Karbala’, but 17 other member of the Prophet’s family shared his fate. Modern observers retelling this story may examine it from a number of different angles. From a critical, historical perspective, Muslim and non-Muslim scholars alike have questioned the accuracy of details included in the traditional accounts. Some have argued that the battle probably did not occur exactly on the 10th of Muharram, suggesting the traditional accounts adopted that date because of the already-established religious significance of ‘Ashura’. It is well known that the early Muslims used to fast on the 10th day of the first month of the calendar, a practice parallel to the observance of Yom Kippur in Judaism. Some have doubted that there were actually 71 followers with Husain, because 72 is a number with special religious significance in other contexts the number of sects in Islam, according to some hadith reports, for example-and may have been added to accounts at a later date. Others doubt that so many details concerning the Battle itself and the events surrounding it, including many small gestures and the actual words exchanged, could have been preserved accurately for so long before being recorded, and guess that the surviving accounts include many additions or embellishments. These arguments have some merit but even from a highly skeptical historical critical perspective, one cannot deny that the events of Karbala’ actually took place and that the traditional accounts are factually correct, at least in their board outlines. Husain was asked to pledge allegiance to Yazid, the Umayyad Caliph, upon the death of Muawiyah, the pervious Caliph and the father of Yazid, but avoided doing so. Followers in Kufa contacted Husain in the Hejaz, promising to support him. Husain sent his cousin Muslim b. ‘Aqil to consult with the Kufans and see whether their pledge to support Husain was credible. Husain, reassured by Ibn ‘Aqil, set out from Mecca towards Iraq. Meanwhile, the Umayyad governor in Kufa, ‘Ubayed Allah b. Ziyad, discovered the plans to start an anti-Umayyad rebellion and sent an army to prevent Husain from reaching Kufa. Husain and his followers were stopped. After some negotiation, the battle took place at Karbala’. 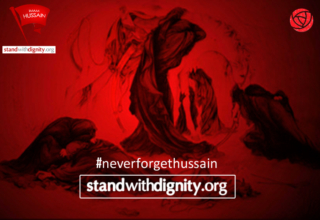 Husain and most of his followers were killed and the survivors were taken as prisoners to Damascus. All these elements of the story are logically coherent with the information available and are difficult to deny. 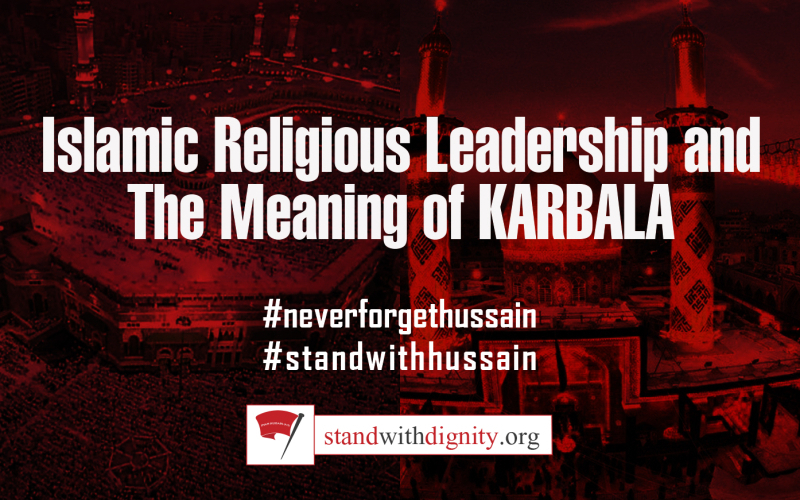 However, the tragedy of Karbala’ is not just a historical account: it is sacred history. Like the accounts of earlier Prophets in the Qur’an, the accounts of Karbala’ are perhaps less important as a collection of historical facts and details than as an example or a symbolic narrative. It is in this way relevant to later generations, not so much as a record of the past, but as a store of lessons or insights, whether religious, moral, social, or human. Still, Karbala’ lend itself to many different lessons; many different aspects of the narrative may be emphasized. We might want to look at the role of women in the events, for example. As in the lives of the Imams in general, women are extremely important in the story of Karbala’. Husain’s sister, Zainab, plays a crucial role in the story, showing great devotion, concern, emotion, and at the same time great courage and determination. We might look at the account as a struggle between good and evil in the world. In it we can find lessons about faith, bravery, weakness, loyalty, betrayal, sacrifice, suffering, and acceptance of God’s will-a considerable array of moral qualities. One crucial aspect of the narrative is the question of legitimate leadership. 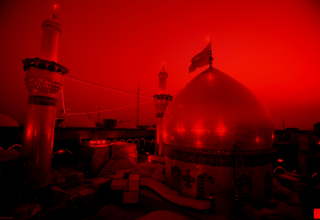 The Battle of Karbala’ happened as a direct result of a great historical conflict over legitimate religious leadership. Legitimacy is one of the story’s crucial aspects. While I am sure you are all aware of this is a general sense. I hope to call your attention to additional information which may help you understand, more fully, the events surrounding Karbala’ and the wider significance of the Battle of Karbala’ in Islamic history. Shiites are a minority in the Muslim world as a whole and, with few exceptions, in most individual regions of the Muslim world. This is not a new phenomenon but has been the case throughout Islamic history. In some circumstances, Shiite have gained political control of Muslims states, most notably between ca. 350 and 450 of the hijrah, a period which has been termed the Shiite century and witnessed the Fatimid state in Egypt and Syria, the Hamdanid state in northern Syria, and the Buwayhid state in Iraq and Iran. Still Shiite political power has been the exception rather than the rule. In modern times, of course, Iran is the major exception, but even Iran has been a predominantly Shiite only since the establishment of the Safavid dynasty about five hundred year ago. As a minority with limited access to political power, Shiites have suffered many of the problems common to minorities living among a potentially hostile, prejudiced, or at least less-than-appreciate majority: discrimination, slander, oppression, and accusations of misguidedness and heresy. These accusations of deviance have of course been shaped by the majority community’s view of Islamic history. From the point of view of an ordinary modern Sunni Muslim, Shiaism seems odd. As a basic tenet of their faith, Shiites pledge allegiance to an Imam. The modern Sunni has no such pledge, and therefore sees allegiance to an Imam as placing an intrusive element between the believer and God. Where is the Imam of the Sunnis at present? There is none. There has not been a Caliph since Mustafa Kemal, or Ataturk, the founder of the modern Republic of Turkey, abolished the Caliphate in 1924. Yet, Sunnis do not feel that their religion is somehow deficient or in danger, or that they are not fulfilling their religiousobligations properly. Rather, simply because they are the majority, the Sunnis assume that the Shiite religious system, based on allegiance to the Imam, is odd and deviant. I would argue, however, that from a historical perspective, the opposite is true. A fundamental change in the conception of religious authority has occurred in Sunni Islam; and it is only this change which allows modern Sunnis to do without the guidance of an Imam or Caliph. That such a fundamental change has occurred is not in itself surprising, for such changes often occur in the history of religions. We know from the Torah and other historical evidence that at an earlier stage of Judaism, religious authority belonged to a caste of priests who were descendants of Aaron. These priests were the guides of the Jewish people, performing sacrifices and rituals on their behalf and administering the Temple of Jerusalem. Where are these priests now? They do not exist, except in the tiny Jewish sect of Samaritans, nor have they, for the cast majority of Jews, for centuries. Religious authority now belongs to rabbis that are trained in the Sacred Law and have little connection with the priest of the past. An examination of Islamic history makes it clear that a similar shift has taken place in Sunni Islam. The shift poses a problem for the interpretation of history, though, because the present situation is projected back to earlier times, causing many to interpret historical data incorrectly. Again, this sort of phenomenon is quite common in the history of religions, for religious movements justify their present ideas and practices by locating or finding them early in their history. Sufis justify their practices by attributing them to Ali, the various Christian churches all trace their teachings back to Moses on Mt. Sinai, and so on, from a historical perspective, many of these claims might be less than accurate. This does not take away, in my opinion, from their value as expression of faith or devotion. However, the prevalence of such reinterpretations of religious history forces us to be very critical in investigating any aspect of history with clear religious overtones and consequences, and this is certainly the case with early Islamic history. The complete absence of the Sunni Caliph at present and the limited role of the Sunni Caliphs religious authorities from the late Abbasid period on have caused scholars, both Muslims and non-Muslims, to misunderstand the importance of the Imamate in early Islamic history. They have assumed, primarily because the majority of their sources were written by Sunni authors, that the later Sunni view is the original one and that the Shiite devotion to the Imam, holding him as an ultimate political and religious authority, is a deviation or aberration. It is much more likely, however, that the Shiite view is the original view. A hadith preserved in Sunni sources reads: man mata wa-laysa fi ‘unuqihi bay’atun fa-qad mata mitatan jahiliyah “Whoever dies without a pledge of allegiance (to the Imam) on his neck has died as if in the Time of Ignorance.” This hadith implies that one of the main duties of a Muslim, indeed the main duty after recognition of God and the Prophet, is the pledge of allegiance to his Imam. The early Muslim community split into three sects during the First Civil War, which occurred during the Caliphate of Ali. These three sects are the Shiites, Kharijis, and Sunnis. All these were important religious groups in the first Islamic centuries and all three have survived to this day. When looking at this split, though, modern scholars have tended to emphasize the differences between these groups concerning the requirements for the position of the Imamate and the nature of the Imam and his succession. They have tended to overlook that fact that all three groups were in agreement on one very important thing: All agreed that it was essential for the Muslim Community to have an Imam. If you look at nearly any modern textbook or introduction to Islam, you will find a distinction between the Sunni Caliph, defined as a mere figurehead or political leader, and the Shiite Imam, defined as a political and religious authority. This distinction, I would argue, is invalid and even inconceivable in early Islamic history. The Sunni Caliph and the Shiite Imam were rivals for the same position. They were both termed Imam or, more often in the early historical accounts, sahib hadha’I-amr’ the one in charge of this matter. Though this has been obscured by later history, they were both claimants to political and religious authority. That this was the case is not at all surprising, for a number of reasons. First of these was the positions of Prophet Muhammad himself. While at Medina, the Prophet was both political and religious leader of the Ummah. He created a Muslim state which performed governing functions such as meeting out justice, organizing warfare, collecting and disbursing funds from the treasury, and so on. After he passed away, the system he had established, rather than falling apart or splitting into separate units, continued to function in a centralized manner. It made sense that an individual would serve as the administrative and political leader of the community and the recognized guide in spiritual matter, for there was real separation between these two realms. The Muslims were living a Biblical experience; that is, they were modeling their lives on the accounts of earlier communities and Prophets that we see described in the Qur’an. Certainly, David and Solomon were not merely political leaders. Nor was Moses, who appears in the Qur’an more frequently than any other figure. In one hadith, the Prophet addresses his Companions: “Your situation is like that of Banu Israel as much as one sandal resembles its pair. If they had gone into a lizard’s lair, so would you”. “The authoritative positions of Prophets, and by extension, the Prophet Muhammad is stressed many times in the Qur’an. In Surat al-Shu’ard’, the Prophets repeatedly address their people with the phrase fa’tttaqu Llaha wa-ati un “So fear God and obey me.” As God’s messengers, they can claim obedience on the part of their peoples because they have the most reliable access to God’s messages and therefore His will. A similar idea is expressed many times in the Qur’an in the phraseati’ u’Llaha wa-ati ur-resul “obey God, and obey the Prophet.” If this was the organizing principle of the community during the life of the Prophet, it would seem to make sense that after his passing, a centralized authority would be maintained. Nowhere is there a discussion or implication that political and religious authority should somehow be divided, this is perhaps stressed by the linguistic similarity of the words Ummah “the Muslim Community” and Imam” the leader of the Community” which derive from the same Arabic root letters. Just as Moses was the political leader and spiritual guide of Banu Israel, so was the Prophet Muhammad for the Muslims. Early Muslims assumed that political and religious leadership would be located in the figure of the Imam. Only this can explain the fact that conflict over this position produced those three major sects of Islam. If it were merely a political conflict, or a conflict between parties, which had completely different concepts of religious authority, it would not have had the long-lasting religious consequences it did. Another strong argument for the importance of the Imamate is the lack of viable alternatives. If the Sunni Caliphs were not Imams, not religious leaders, then who was? While there were certainly people learned in the Qur’an itself, I would argue that there was not any organized group of people who could have performed the function of religious guidance during the first Islamic century. There were not an organized group jurists, theologians, hadith scholars, philosophers, or Sufis who could have acted-and eventually would, in later Islamic history-as spiritual guides for the people. This brings us to an important conclusion: that the Sunni Caliphs were not simply political leaders, but claimed to have authority over both religious and political spheres. Furthermore, this religious authority, in both spheres, was seen as an essentially religious authority and derived from the religious authority of the Prophet. Just as the Shiites do, the Sunnis cited the famous verse from Surat al-Nisa, sometimes called ayalal-umara’ or the verse of authority: ati ‘u’ ‘Llaha wa-ati u r-rasula wa-uli ‘I-amri minkum “Obey God, and Obey the prophet and those in authority among you”. They interpreted ulu ‘I-amr “those in authority or those in charge” as the Imams or the Caliphs. That this was actually the case, that the Sunni Caliphs actually claimed and wielded religious authority, is clear from many events and documents preserved from the times of the first three Caliphs, the Umayyad’s, and the Abbasids as well. A very clear example is seen during the Caliphate of Abu Bakr (632-34) in hurub al-riddah “the Wars of Apostasy”. During the life of the Prophet, many tribes in Arabia had pledged allegiance to him and the Muslim community, but broke the pledge upon the Prophet’s death. From their point of view, they had made a pact with a particular leader and once he was no longer present, the deal was no longer in effect. From the Muslim point of view, however, they could not accept Islam and then reject it, so Abu Bakr led a number of campaigns against these tribes in order to ensure their continued adherence to Islam. He was not doing this as a mere political measure, but as the religious leader of the Muslims. Otherwise, their actions would hardly have been called riddah “apostasy,” a clearly religious term. It is well known, to both Shiites and Sunnis, that Umar, the second Caliph, instituted a number of reforms that later became part of Islamic law. He tried, unsuccessfully, to limit the mahr payment given to women upon marriage. The story of a women objecting to this as detrimental to the situation of women and a violation of their rights is famous. Also well know, and here the Shiite sources are probably correct, is that Umar abolished the Institution of Mut’ah, or fixed-duration marriage. Umar is also supposed to have instituted the tarawih prayers Sunni Muslims perform during Ramadan. The point is not only that he made reforms, but that they became standard rulings in subsequent Sunni Islamic Law. This is inconceivable if the Sunni Caliph was not viewed as a locus of specifically religious authority. 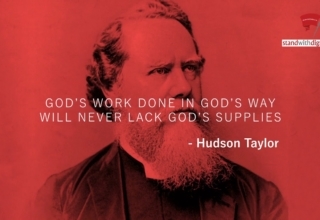 Obedience is the head of this matter, its summit, its apex, its halter, its foundation, its refuge and its mainstay, after the declaration of belief in the unity of God with which God has distinguished between His believers. Through obedience the successful attain their stations from God and gain a right to reward from His; and through disobedience others obtain those of His punishments which He meets out to them, the chastisement of His which He inflicts on them, and that anger of His which He cause to befall them. Clearly, the Caliph claims to have religious authority, and claims that obedience to the Caliph is a religious obligation, only slightly less important than declaring belief in the unity of God. Obedience to the Caliph is a religious authority is the Pact of Umar, which is attributed to Umar the second Caliph, but may have been promulgated by the Umayyad caliph Umar b. Abd al-Aziz. This document is a treaty with the Christians of Damascus outlining their rights and obligations under Muslim rule. The provisions of this document, which do not derive directly from the Qur’an or hadith, but are a decree of the Caliph, have become incorporated entirely into Sunni Islamic Law. Many similar examples may be given for later times. Between 218 &233 of the hijrah, the Abbasid caliphs, in the famous Inquisition, tried to impose a particular theological tenet-that Qur’an was created, and not eternal –on scholars of their realm. The Caliph al-Qadir, who reigned form 381 until 422 AH issued the Qur’an Creed, which declared Shiaism and Mu’tazili theology heretical. Throughout the early Islamic centuries, the Sunni Caliphs claimed, and endeavored to exercise, religious authority. Though later developments in Sunni Islam obscure this, it seems undeniable from a close examination of the sources. This understanding pointout that Karbalawas not just a military or political conflict; it was a battle over the religious leadership of the Community. Not only from the point of view of the Shiites, but from that of the Umayyad’s as well. It is one episode of many, though it is perhaps the most famous and most important, in a long struggle on the part of Shiites to establish legitimate leadership for the entire Muslim community, for only through such leadership would a just system be established, based on justices and strict adherence to the moral order. Only scholarship would lead the Muslims to salvation. In his famous work Maqatil al-Talibiyin, abu al-Faraj al-Isfahani records 194 members of the Prophet’s family who died at the hands of usurpers and oppressors between the time of the Prophet and 313 A.H., when he wrote the work. Not all of them were killed in open revolts against the Sunni Caliphs, but the work describes dozen of revolts similar if not equal to that of Karbala’: that of Zayd b. Zayn al-Abidin, that of al-Nafs al-Zakiyah, and many others. 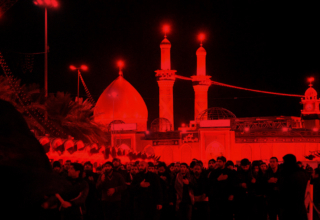 This awareness helps us understand many aspects of the accounts of Karbala’ more fully. It explains, for example, the great attention given to the bay’ah or pledge of allegiance in the story. Just as the Shiites pledge allegiance to their Imam,so were subjects of the Umayyad Caliph supposed or even forced to pledge allegiance to him. To do so was a religious obligation by which one chooses an Imam. The governors of Medina,Basra, Kufa, Fustat, and so on were agent of the Umayyad Caliph and authorized to administer the bay’ah on his behalf. Even ‘Ubayd Allah, the governor of Kufa, who appears in the accounts as a figure of great cruelty, is thus endeavoring to enforce a religious obligation. The pulpit or Mimbar also, and Friday prayer, are not just convenient for getting messages to the people, or religious venues which have been taken over for political purposes. They are important symbols of the religious authority of the Caliphs, and were used for presenting arguments about religious authority. For this reason Ubayd Allah ordered Qays b. Mushir, one of Husain’s companions, to ascend the member and curse Husain. When Quays refused to do so, Ubayd Allah had him thrown from the roof of the palace to his death. The Umayyad practices of cursing Ali from the mimbar was not merely an angry insult, but a statement about the religious leadership of the Community. It is these claims that made the Shiites’ opposition toUmayyad’s so bitter and the conflict so intense. For they were fighting over a crucial issue, the religious leadership of the guidance. The Umayyad’s had usurped the rightful position of the Shiites Imams and it was imperative for the guidance, and ultimately for the salvation, of the Muslims that the Umayyad be removed from their position and replaced with the legitimate Imams, the true guides of the Muslims. The direct religious conflict between allegiance to Husain and allegiance to Yazid is seen very clearly at many points in Karbala, story. At one point, a messenger comes from Ubayd Allah, ordering his forces to stop Husain’s group at a barren place, devoid of water or vegetation. Ibn al-Muhajir al-Kindi, a companion of Husain, scolds the messenger: “May your mother be deprived of you! What a business you have come to!” The messenger replies, “You have obeyed by Imam and remained faithful to my pledge of allegiance.” Al-Kindi answers, “You have been disobedient to your Lord and have obeyed your Imam in bringing about the destruction of your soul.” The messenger clearly views loyalty to His Imam, i.e. Yazid, as religious obligation which he takes very seriously, Al-Kindi’s answer is based on the idea that to choose the wrong Imam is a fatal mistake, because it leads to damnation. When Zain al-Abidin was taken to Damascus, Yazid addressed him. “….your father cut the bond of kinship with me and showed ignorance of my rights, trying to deprive me of my position of authority.” Also in Damascus,Zainab confronts Yazid, scolding him and calling him an arrogant liar. “It is me!” screamed Yazid. Distraught with anger, “whom you are addressing thus. It is your father who has left the religion, and your brother.” She answers, “The religion of God, the religion of my father and the religion of my brother lead me. And it, and your grandfather and your father too lead you, if you are a Muslim.” Her clever answer brings out one of the great ironies of Islamic History. Abu Sufyan of the Umayyad clan was one of the fiercest opponents of Islam and the Prophet himself. Yet within one generation, his family was in charge of the Muslim Community, even calming religious authority, which derived from that of the Prophet. Just as Abu Sufyan was the great enemy of Ali, the cousin of and son in-law of the Prophet. Yazid was the great enemy of Husain, Ali’s son. Zainab’s comment refers, indirectly, to the deplorable situation that the descendants of Abu Sufyan, the one-time champion of the pagans, are now in control of the Muslims. In these confrontations, we see quite clearly what is at stake: religious authority. The conflict is a religious one above all. For this reason it was so urgent and so intense, and for this reason it remained such an important symbolic event throughout Islamic history. 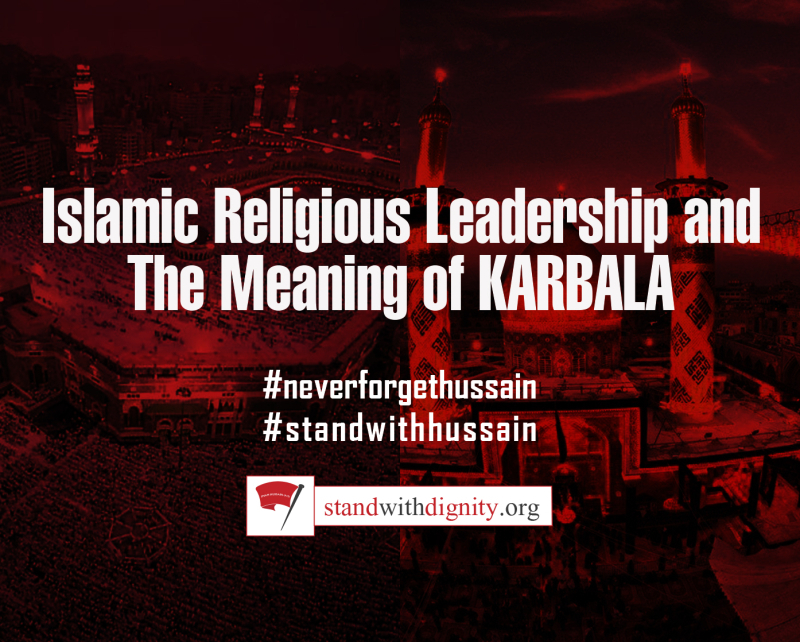 Karbala’ is not simply about the tragic fate of Husain and his immediate followers, but about the historical struggle of the Muslim community to establish legitimate leadership.